Do you sell liquid ant bait that is .5% boric acid? 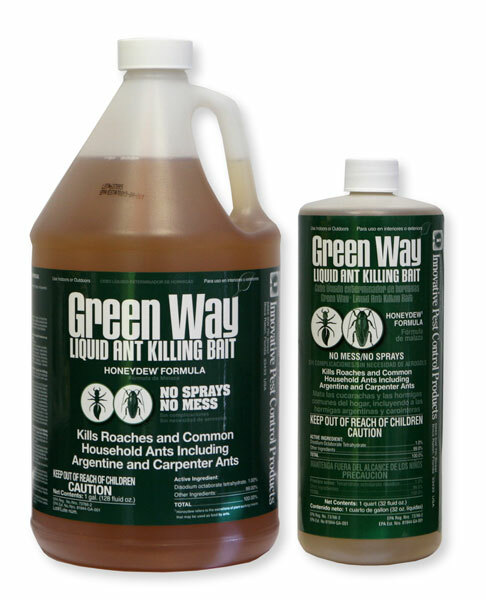 Do you sell liquid ant bait that is .5% boric acid, or do you know anyone that does ? The UC Riverside researchers tell me 1% is too toxic for argentine ants because the workers are killed before they get back to the queens in the nest. They say .5% boric acid works much better. I'm a Senior Environmental Scientist at the CA Regional Water Quality Control Board, San Diego Region and I'm searching for a bait that effective against argentine ants and that won't cause toxicity in urban runoff. Initially this is for my personal home use; but if its effective, I will want to also share it with the cities, businessess and residents we work with. Also can you recommend a skilled and trustworthy IPM expert/practioner in the San Diego area? hi Deborah, we sell Gourmet Liquid Ant Bait. This bait comes as 1% formula. It is very easy to dilute to whatever concentration you prefer by adding distilled water. I can assure you that the manufacturer of the KM Ant Pro dispenser - Ken Kupfer, would disagree that 1% is too toxic for argentine ants. You may want to contact Ken at kjkupf@comcast.net for further clarification. Ken has made many visits to CA and has given numerous presentations to researchers such as yourself on this very subject. He is the most knowledgable person that I know of pertaining to ant control. The problem with using a liquid ant bait is not necessarily with the bait itself. It is with the delivery system. This is where the Patented KM Ant Pro System shines. It is the most effective liquid ant bait delivery device ever invented - especially for argentine ants. I don't have contacts in the San Diego area. Sorry. Let me know if I can help you with anything else.